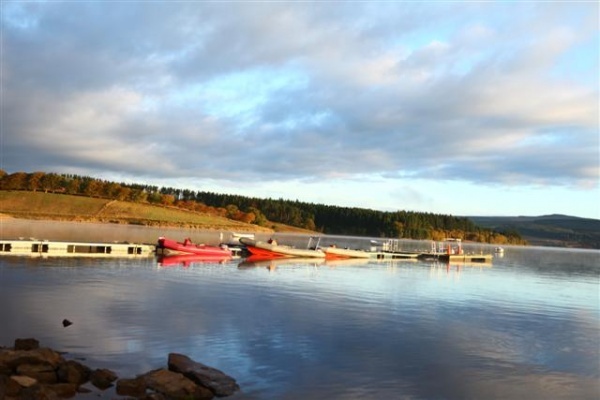 Kielder Water & Forest Park (KW&FP) in Northumberland has today been named as a finalist in the prestigious VisitEngland Awards for Excellence 2013. Competing with top tourism destinations nationally, the Park has been recognised in the Tourism Experience of the Year category meaning it is guaranteed to receive Gold, Silver, Bronze or Highly Commended at the awards ceremony in Manchester on 20 May 2013. KW&FP scooped Gold in its category, which incorporates Best Event, in the North East England Tourism Awards last month and in addition has been selected to represent the North East at the upcoming national awards. Heidi Mottram, Chair of Kielder Water & Forest Park Development Trust, said: “We are all so incredibly delighted to have achieved national recognition as a destination that truly provides an innovative customer experience within the tourism industry. The experience covers every aspect of our visitors’ journey which is made possible thanks to each and every team member, event organiser and accommodation and activity provider that work around the 250sq mile wilderness. Highlights over the past year for the Park have included the success of naturally re-colonising ospreys, award winning art and architecture, launching a bid for Dark Sky status and a whole host of successful events. • For corporate information see www.visitengland.org and for consumer information see www.visitengland.com.  The VisitEngland Awards for Excellence 2013 celebrate the best of English tourism. They promote healthy industry competition and high standards, helping to ensure England's place as a world-class destination. www.visitenglandawards.org.  The 17 categories for the 2013 awards include: Access for all Tourism Award, Bed & Breakfast / Guest Accommodation of the Year, Best Tourism Experience, Business Tourism Award, Caravan Holiday Park, Large Hotel (over 35 bedrooms), Large Visitor Attraction (over 100,000 visitors), Self Catering Holiday of the Year, Small Hotel of the Year (under 35 Bedrooms), Small Visitor Attraction (under 50,000), Sustainable Tourism Award, Taste of England Award, Tourist Information Service, Tourism Pub of the Year, Tourism SuperStar, and Travel Article of the Year.  Included in the 17 categories is the additional award for Outstanding Contribution to Tourism to be announced on the night. Previous winners of this award have included The Great English Pub, Michael Eavis CBE, HM The Queen, the Harry Potter films, Sir Cameron Mackintosh, Sir Paul McCartney, Liverpool, The National Trust and last year the English Garden.